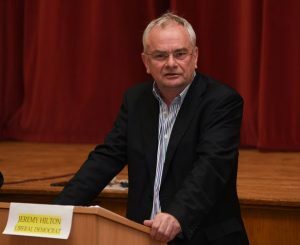 The total cost to the public purse of the abortive attempt by Gloucestershire Police & Crime Commissioner, Martin Surl, to takeover the county’s fire and rescue service was £135,000. The fire and rescue service has been governed by Gloucestershire County Council since 1974. All members of the council are united in their support of the county council remaining the local fire authority. After spending £100,000 of taxpayers money on employing his own consultants to mount a hostile bid to run the fire and rescue service, Mr Surl dropped his plan during the summer. The cost to the county council in defending its fire authority role was £35,000. “The county council is the fire authority and already does a brilliant job in managing Gloucestershire Fire and Rescue Service. We all need to remember the great job our firefighters did during the 2007 floods. “I am very disappointed in the police and crime commissioner for wasting such a large sum of public money on empire building. In particular, I am concerned about the £10,000 cost of fire officer time spent on answering Mr Surl’s consultant’s questions. He needs to concentrate on delivering a better police service in Gloucestershire. “I am, however, pleased that he dropped his takeover bid. “The £135,000 of taxpayers money spent would have been better used on developing new collaborative projects between the blue light services. We should be looking at sharing our fire stations. “Together we pioneered the TriService emergency centre and vehicle workshops. The fire service is now helping the ambulance service by co-responding to medical emergencies and also helping social services with the enhanced self and well checks at people’s homes.